Some things here that didn’t deserve a full post. Watched “Tokyo!” last night, which is a collection of three short films set in, well, Tokyo. The first of the three, titled “Interior Design”, was pretty good, though I thought it played up the “uncaring big city where everyone lives in rabbit hutches” stereotype a bit much. The second segment, “Merde”, was, well, not just a clever name, if you’ll pardon the Wayne’s World reference. It started off with an interesting parody of kaiju movies but quickly spiraled off into left field, culminating in a Dramatic Courtroom Sequence that I think I actually dozed off during. Fortunately, I woke up in time for “Shaking Tokyo”, which was a surprisingly touching story about a veteran hikkikomori, the events that drive him out of his house, and the things he discovers when he sees the world for the first time in ten years. Have also been re-watching Escaflowne with my wife. While we don’t always agree on what Good Anime is, we do have some shows that we both love; this is one of them and it’d been a few years since we last sat down to watch it together. It’s a little like Gundam Wing in that it was an early attempt to create a show that straddled the traditional shojo/shonen divide; you have your Big Damn Robots fighting but you also have your Impossibly Pretty Boys and Forbidden Romances. It’s making me realize that it’s been a long time since I’ve seen a show in the “Perfectly Normal Japanese Schoolgirl Gets Sucked Into An Alternate Dimension” genre… I don’t know whether that’s because there haven’t been any recent ones or whether I just haven’t been noticing them. It seems like it’s much more popular, these days, to have an entirely alternate universe, or to have a show that takes place in the normal world but adds fantastical elements or alien princess harems. It’s also a little nostalgic to watch the end credits and see Dave Fleming credited for the translation work; I used to get Nadia fansubs from him back in the early 1990s and Escaflowne was the first show where I saw him doing professional work; now I see his name everywhere. One of the computers in the language lab at school had an incredibly cute Firefox theme installed, so I tracked it down. Objectively, it’s nothing special; just a weird bean-shaped character on a green background, but for some reason it pushes the D’Awwwww button and pushes it hard. The theme name is “mameshiba”, and one of the search results that popped up when looking for it was this blog, which turned out to be a fun if occasionally cringemaking read. (I can’t help it. I physically twitch every time someone drops “kawaii” into the middle of an otherwise English sentence.) It’s bizarre to think that someone from the Cartoon Network wave of fans is now a fully functional adult, so it made me feel a little old, but it has some nice photos of Tokyo and it makes me want to check out Ueno Zoo the next time I visit. Lastly, thanks to Namco putting their PSP Idolmaster games out on the PSP The Best label, I finally own an Idolmaster game. This comes after several years of being vexed because the 360 games were region locked, then being too cheap to order the PSP games because spending $60 on an import PSP game just seemed wrong. $33 was a much better price point. …yeah, it’s the “Ritsuko” version. It’s not an easy game at my level of Japanese comprehension. It has a lot of text, and the text doesn’t wait for you to press a button to continue; it automatically scrolls. Two years ago it would have been completely unplayable – nowadays, it’s, well, sometimes I know what’s going on and sometimes I’m just hoping that I’m not missing anything important. Ritsuko turns out to be quite the taskmistress. After our first practice session, which went poorly, she canceled the afternoon session and called me into a meeting where she chewed me out and asked if I was serious about her career. She’s also taken to scheduling play sessions – when I saved the game last night, she made me promise to come back at the same time tonight. To be fair, I haven’t tried playing the game with any of the other characters yet, so I don’t know if this is actually unique or if all the characters are this strict. It’s a little weird being bossed around by a video game, mind you, but it adds a bit of personality that I didn’t expect. Besides, I don’t HAVE to turn on the PSP at 9:30 tonight. I could totally skip our appointment. But I might get yelled at for it. 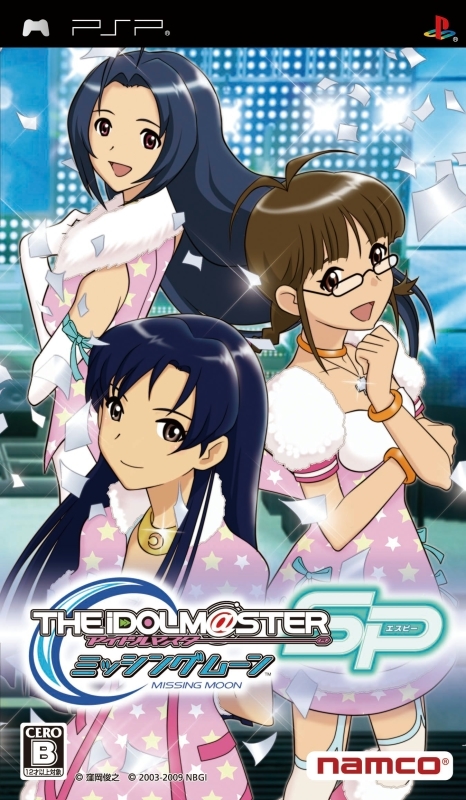 This entry was posted in anime, Idolmaster, meganekko, movies & tv, psp. Bookmark the permalink.